I made the pattern up as I went along, and since I haven't crocheted much I'm proud of how well it came out. 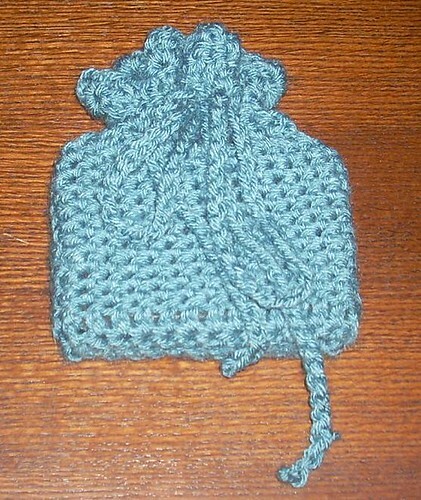 The yarn is Lion Brand Vanna's Choice. Very nice! I'm impressed that you made up the pattern yourself. I love that color too.